The international pop artist of the moment, Jason Derulo, will be in concert in Barcelona on October 17th. The singer, composer and dancer Jason Derulo has conquered half the world with his songs, reaping great successes and numbers such as those from the big pop and urban stars, achieving to sell more than 50 million singles worldwide and accumulate more than 4 billion views on YouTube and 2 billion views on Spotify. Among his greatest hits are four #1 such as ‘In My Head’, ‘Do not Wanna Go Home’, ‘Talk Dirty’ and ‘Want to Want Me’. In addition, eight of his songs in the top 10, with hits like ‘Whatcha Say’ or ‘Swalla’, in which he had the collaboration of Nicki Minaj and Ty Dolla $ ign. Its most recent theme, ‘If I’m Lucky’, already has more than 30 million visits in less than two months; and will certainly be in his live shows. 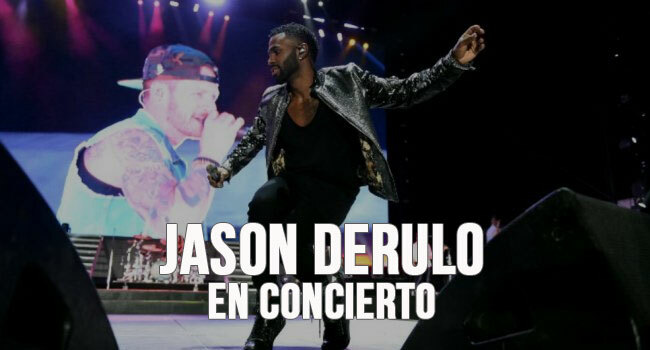 Jason Derulo will perform in Barcelona on October 17 at the Sant Jordi Club, presenting his tour “777 World Tour”, with which he presents his fifth work “777”. If you have tickets to see the concert, you can stay at our hotel in the center of Barcelona. Book now your hotel in Barcelona!